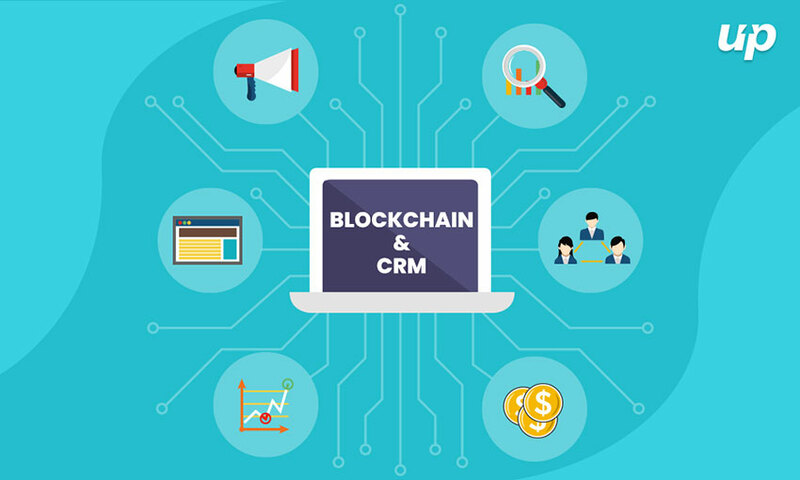 How is Blockchain Becoming the Next Level of Security to CRM? Multiple technologies are making their way in the market. You must have heard about IoT i.e. Internet of Things, Augment Reality (AR), Artificial Intelligence (AI), Virtual Reality (VR), etc. Among all, one term, which is catching the attention of numerous entrepreneurs, is Blockchain. Yes, the Blockchain is one of the latest trending technologies that ensure the security of data by means of “cryptography”. It is an open distributed digital ledger with the ability to record transaction between two parties in a secure way. Do you know why? This is because it follows peer to peer architecture. There is no doubt in saying that Blockchain provides the highest degree of security and this is the reason it is used to store transactional data. This is why Blockchain developers are getting popular worldwide. In addition, the technology adds exciting data security features when it is integrated with CRM software. CRM is Customer Relationship Management, the software solution that introduces a host of abilities together. You can save all your customers and prospects, send emails, schedule appointments, make calls, and figure out whose unlocked your recent email-devoid of going out of the CRM scheme. As the name implies the Blockchain system is nothing but a chain of blocks. These blocks hold transactional data and remain connected to the block both preceding it and following it. All these blocks remain cryptographically secured in such a way that users can easily gain access if they have been assigned network keys. This process is very important as it eliminates the possibility of unauthorized entry. Like the cloud systems, Blockchain is decentralized and distributed throughout synchronized P2P networks. Various Android or iOS app development companies already announced or are in the process of announcing BaaS offerings through which customers can easily leverage Blockchain in a Cloud environment. With the advent of the IoT era, there are various organizations that are now collecting data from any device that are connected to the internet. Integrating Blockchain technology in the voting mechanism provides the essence of a democratic government by reducing fault tolerance. Votes once submitted cannot be altered, as every vote can be traced to its source, maintaining the voter’s anonymity. Because of this reason, Blockchain technology is quite useful in voting as it is capable of providing an end-to-end solution for a verifiable voting system. When Blockchain is used for the electoral process, it not only provides a certifiable voting audit trail, but it will also ensure that none of the votes are removed, changed or fraudulent votes. Blockchain technology is ideal for various tasks such as tracking of goods as they move in the supply chain. There is no doubt in saying that Blockchain technology opens up a multitude of alternatives for companies that ship goods. The entered data on Blockchain can be used for the purpose of lining up events with a supply chain management system. There is no doubt in saying this is the latest technology that provides new means of organizing tracking data. Blockchain technology is also very beneficial for the healthcare sector because it allows hospitals to safely store patient and medical records. Besides this, it also helps hospitals to share data with selected authorized medical researchers, pharmacists, practitioners, and patients, which in turn can help with the speed of diagnosis and accuracy. With the help of Blockchain, medical devices and pharmacy records can also be linked to a person’s health records. Using Blockchain technology, we can easily track donations at each stage. One of the biggest complaints around various NPOs and charities revolves corruption. This is because there is no proper trace of how the money being donated & how it is used or if it has been redirected away from the people who actually need it. Due to inappropriate data sharing of funds, it creates negative public trust in charitable organizations. 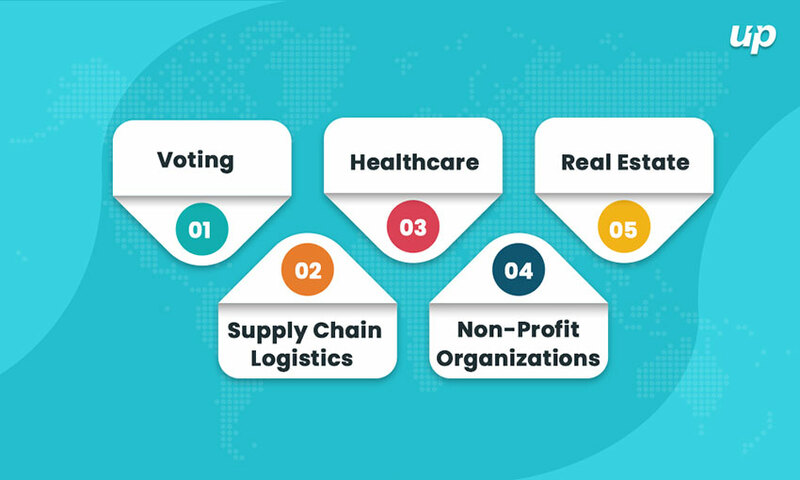 Using Blockchain technology, donations can be tracked at every stage, which helps charitable organizations to manage their financial resources. From a long time, it is observed most of the home sellers sell their properties and move to a new location. If you need authentic information regarding property lines, covenants, agreements, resolutions, it is quite a laborious and time-consuming process. But Blockchain can easily solve such kind of problems. This technology helps real estate owners to expedite home sale by quickly verifying finances, which can reduce fraudulent transactions. It is all because of the encryption process used by Blockchain that offers transparency throughout the selling and purchasing processes. Marketers are taking Blockchain Technology Seriously! The Blockchain is the latest trending technology that ensures the security of data. Blockchain can also be described as an approach for managing your data that lets incongruent enterprises to have a supreme power of the data, connecting to various systems owned by different parties. The goals and needs of both, they can be different from one another. In each major trade either it is app development, healthcare, manufacturing, etc., Blockchain prototypes, concepts, or investments are emerging quickly across the worldwide boundaries. Due to the Peer-to-Peer nature of Blockchain technology all these opportunities are utterly customer-centric. If you want to build your own business app with the blending of the latest technologies, then you can get in touch with a pioneering app development company. Yes, Fluper, with a certified app developers team, allows you to grow your business productivity. For more information, you can visit their official website. Top App Developers Interview: Tallium Inc.
A Complete Guide on How Does Cryptocurrency Exchange Function? Cryptocurrency and Blockchain: Finding a Way to Do it the Green Way!